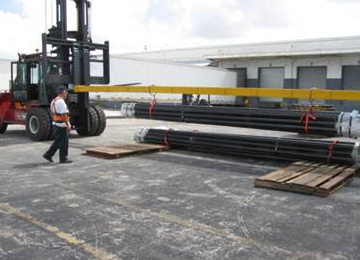 We will pick up your containers from the port or terminal, move them to our warehouse where we will off load your cargo with care. We will sort your product, store your goods in our warehouse (short term or long term) process your orders as required and delivery your product right to yours or your customers door. 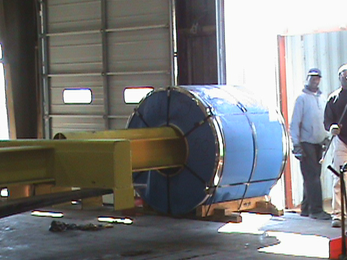 We have custom made booms designed to reach all the way into 40’ containers so we are able to carefully lift the steel bundles out without dragging to ensure your precious cargo will not suffer any damage. If you or your customers are not ready to receive your cargo immediately, we will store it for you in our clean, dry warehouse, sorted to your specifications until you are ready.